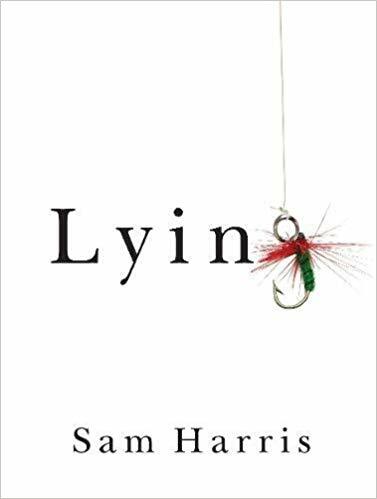 Very short book about how Lying is bad and can ruin the relationships in the long-run. The first 1/3 is the story of the author and how he made almost 100x of his money just from handful of trades. 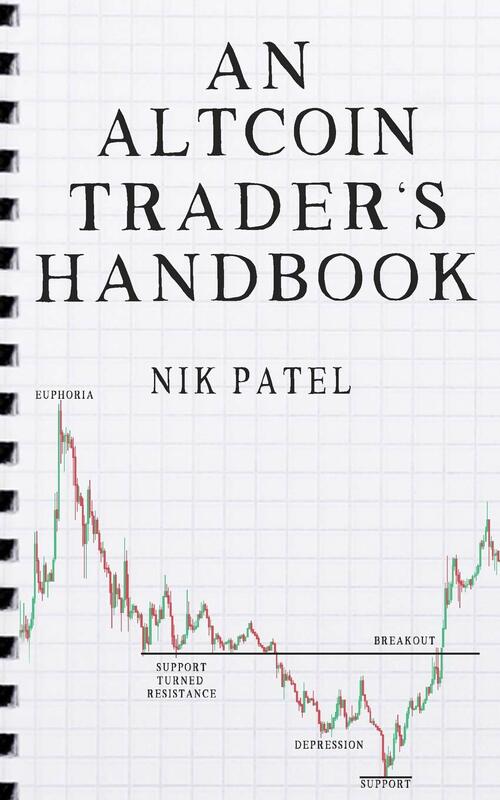 Next 2/3 is all of his technical analysis and a little bit of fundamental analysis on how to trade alt coins. Even though the author's desired path of career was to become a write, he is pretty young and does not have the experience or the skills to write beautifully. However, it does the job and he keeps it really short. Even though it's 200 pages, the fonts are huge and the pages have many graphs. The book it self is pretty small like a notebook. I would recommend for anyone investing in cryptocurrency especially anything else than bitcoin. Relatively short book, the audiobook is only couple hours. There is the 2nd version of this book, but couldn't get a hold of it. Just another psychology book, not sure why I read it, but doesn't hurt at all. I do agree with the author, every job that I go to, I am going to be able to learn pretty much 95% of the job within couple years. After that it's a a lot of politics, social skills, and how to lead/persuade/motivate other people for me to get the next level/promotion. 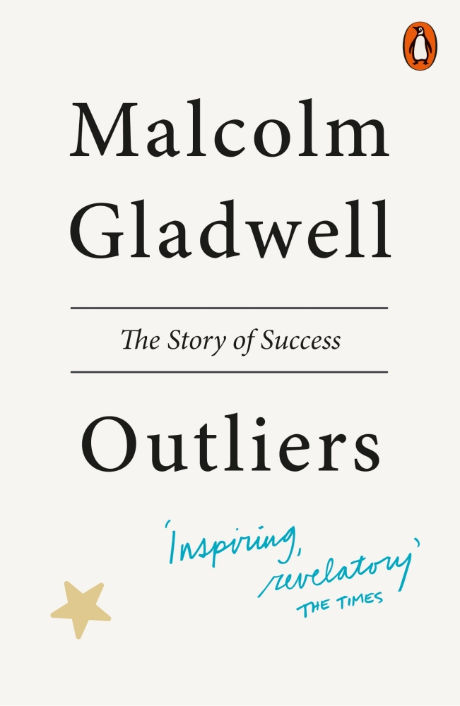 Gladwell is a terribly overrated intellect. I've read 4 of his books and found them to be lacking in gravitas. I decided I could squeeze all the relevant information contained in each book into a haiku. Wow, Yeah, I mean the books are not going to 'damage' my brain or lower my IQ, but the time/money spent on them wasn't really worth it. It's really hard to go through the book when you know most of the content already and it's a lot of fluffy material just recycling every other psychologist. Nothing original. Definitely would be interesting books for people who are younger age or have less knowledge in these fields.. I am not trying to put you on the spot and I appreciate your input. However, why did you continue to read his other books when his first book didn't ROCK your world? I am just curious though, I agree that the author is overrated. 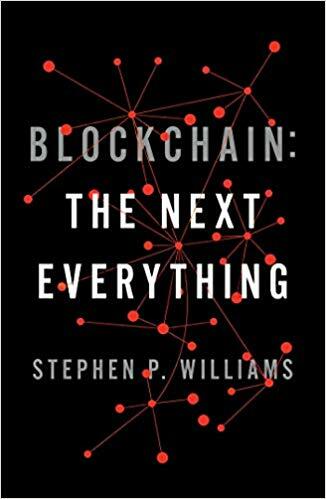 Blockchain: The Next Everything by Stephen P. Williams. In the beginning, the author portrays a little bit of left-wing ideologies, which kind of threw me off. 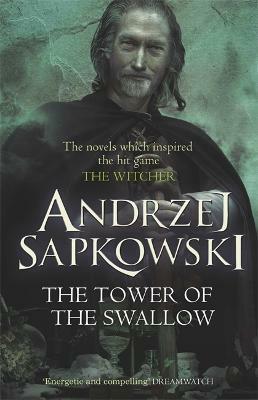 However, I managed to continue reading and he has a simple way of describing things without getting too complicated. His analogies are great, but doesn't necessarily help you understand how the actual underlining core technology works, which was fine with me because I am not interested in how to code and nitty details. Second half of the book he really delves into how the world will change and gives several examples of it. 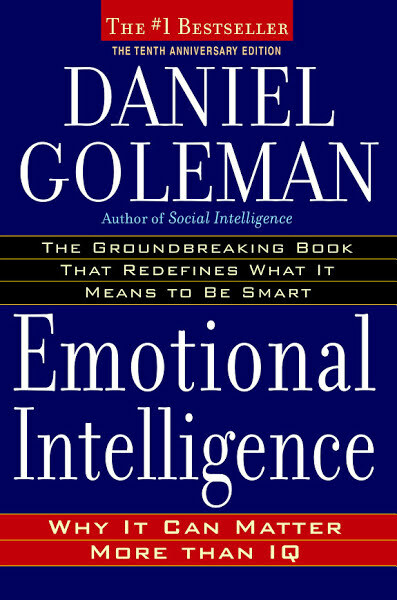 My assumption of how emotional intelligence or soft skills such as leadership/motivating will be more important in the future has solidified after reading this book. Intangible assets are going to be also more important in the future as even industries that are heavily invested in tangible assets such as real estate will have to evolve and adopt to new technologies. Overall fast read and worth reading for the money and time spend on it. Finished in couple hours. I don't want to give too much of the book, but one of the most interesting point of the book was about how the definition of "branding" will change as companies will have to be transparent and honesty about their logistics/supply chain. Ex. An egg can be organic and USDA approved, but due to blockchain technology, the consumer at the end of the chain can find out when and how the chicken were raised and how the eggs were brought all the way from the farm to the grocery store. Just finished a 6 week slog through Foucault's Pendulum by Umberto Eco (referenced earlier in the thread). I knew nothing about the book before buying it at a used book store. I needed a book for a trip, and the description "an intellectual adventure story, as sensational, thrilling, and packed with arcana as Raiders of the Lost Ark or The Count of Monte Cristo" piqued my interest. Too bad only the third adjective phrase turned out to be true. First the good - there's some good writing, some emotional and poignant passages, some cool surreal scenes (kind of like the Witches' Sabbath scene in Midnight Cowboy), and some relevant takeaways which I'll discuss later. Also a bit of clever dialogue and amusing satire (but not much). Several of the relationships between characters are actually interesting, but these don't get enough attention. The bad: there are dreadfully boring long passages going into excruciating detail about the history of the Templars, Rosicrucians, etc. in some cases actually passed off as dialogue! At one point there's a bullet point list of several pages detailing every scrap of information related to the Rosicrucians - I had to skip that. For a "thriller" the pace is excruciatingly slow and there isn't really any action until about 500 pages in. A lot of fat could have been trimmed. It's my policy to finish books that I start, but it was very difficult for me not to give up. This book probably mostly appeals to a certain very dreary type of individual. If I had to give a general profile it would be aged 19-24, male, does a lot of drugs, has convinced himself that THE ANSWER to EVERYTHING lies in occult symbolism, but is more interested in indulging a hedonistic lifestyle than reading and learning or actually putting any knowledge into practice. Talks incessantly about said occult symbolism, the Illuminati, Freemasonry, has a conniption fit every time he spots a triangle (you know, one of the most fundamental shapes whose mathematical properties were explored thousands of years ago) in a public setting, rails against the nefarious forces who employ and disseminate the symbols (who also secretly control every institution of power in the world) at every opportunity regardless of what the conversation is actually about without every actually specifying what they accomplish by displaying the triangles. Doesn't understand that Led Zeppelin and Black Sabbath were WAY too busy doing drugs and debauching groupies to actually read books in any depth. I could go on, but hopefully you get the point. Also includes psuedo-intellectual celebrities who claim to "study the Kabbalah" like Madonna. Ultimately the strength of this book is that it seriously questions the values and motivations of these people, and in my interpretation concludes that their purported quest for ultimate knowledge is a fool's errand and ultimately dangerous. It's a bit odd that the book criticizes the people who are mostly likely to get excited about it. After the horrifying climax, the narrator shaken to the core, experiences a jumbled nightmare scenario and comes to this conclusion. Here are some bits and pieces of the relevant passages... "We offered a [redacted to avoid spoilers] to people who were trying to overcome a deep, private frustration. What frustration?...There can be no failure if there really is a Plan. Defeated you may be, but never through any fault of your own. To bow to a cosmic will is no shame. You are not a coward; you are a martyr...Take stock market crashes. They happen because each individual makes a wrong move, and all the wrong moves put together create panic. Then whoever lacks steady nerves asks himself: Who's behind this plot, who's benefiting? He has to find an enemy, a plotter, or it will be, God forbid, his fault. If you feel guilty, you invent a plot, many plots. And to counter them, you have to organize your own plot. But the more you invent enemy plots, to exonerate your lack of understanding, the more you fall in love with them, and you pattern your own on their model." Earlier the narrator notes that if you look for the boogeyman everywhere you will certainly find him: "We invented a non-existent Plan, and They not only believed it was real but convinced themselves that They had been part of it for ages, or, rather, They identified the fragments of their muddled mythology as moments of our Plan, moments joined in a logical, irrefutable web of analogy, semblance, suspicion." It's easy to see people falling into these intellectual traps - one need go no further than this forum. I think this is the most crucial message of the book, and one that is entirely relevant at this moment. Now the audience I described is not the only group of people who may enjoy the book. Personally, I was never able to get too deeply into this line of knowledge because I could never understand how studying connections between various secret mystical societies could actually help to improve my life. I failed to see a difference between spending all my time reading about it and memorizing statistics for leaders in home runs, batting average, RBI, ERA, strikeouts, walks, stolen bases, saves, and so on. Both seemed to fulfill the function of distraction and one could argue that the latter is less of a dead end because at least it's tangible and finite. In my experience, most people who go on about the Illuminati don't gain any satisfaction let alone advantage from it. However that's not to say that you're wasting your time learning about these topics. If you're getting something positive out of it then good for you. I avoid absolutes so I won't say that these subjects are a complete waste of time and that you're some kind of burnout or malcontent if you choose to spend your time that way. Maybe you'll enjoy the book and reach a different conclusion. It's rather ironic for the author to make these assertions after clearly devoting an extraordinary amount of time to researching the subject. The bio says he was a professor of semiotics. I had to look that word up, but it's defined as "the study of signs and symbols and their use or interpretation." Maybe one day he realized he had wasted his intellectual capability and decided to profit off of it by putting it into fictional form? The narrator discovers that this is in fact what the true main character (who turns out not to be the narrator) in the book was attempting to do. It reads as though the author created the character of the narrator to create some distance to psychoanalyze himself and his life choices. So in conclusion the book makes some significant and relevant statements and there is some satisfaction to be gained from reading it, but you really have to wade through a veritable bog of dense intellectual quickmud in order to obtain it. I'm relieved to finally be done with it.